It is not often that you hear reference to Dior darts these days, but since a couple of dresses I’ve made recently have this design feature, let’s discuss! As a sixties fashion fanatic I was a fan of this type of dart, but it wasn’t until I entered the garment industry that I heard my colleagues describing it as a ‘Dior dart’ – and I took their word for gospel as they had all trained during that era! I’ve always loved the look – the side panel seam slims, the short bust dart minimises – and these factors contribute to the desirable ‘youthful’ effect of that era. It is not just for the youthful though. 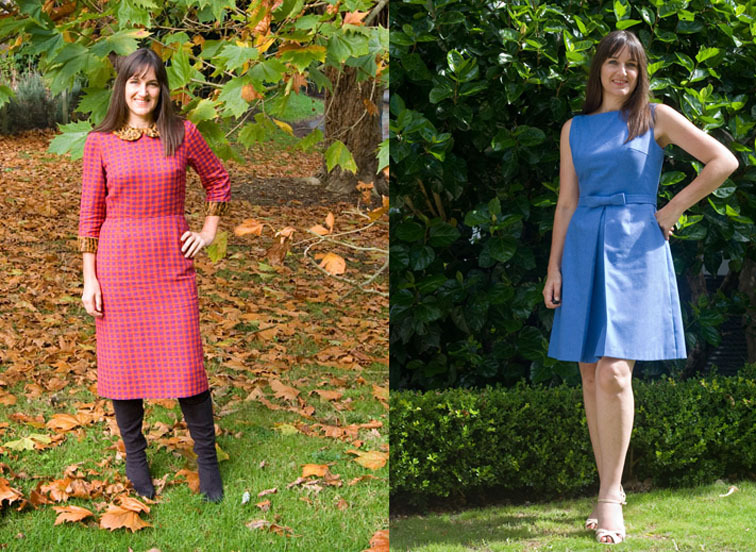 In my Burda magazines there are plenty of examples in the mature/plus sizes, and they look very slimming indeed. 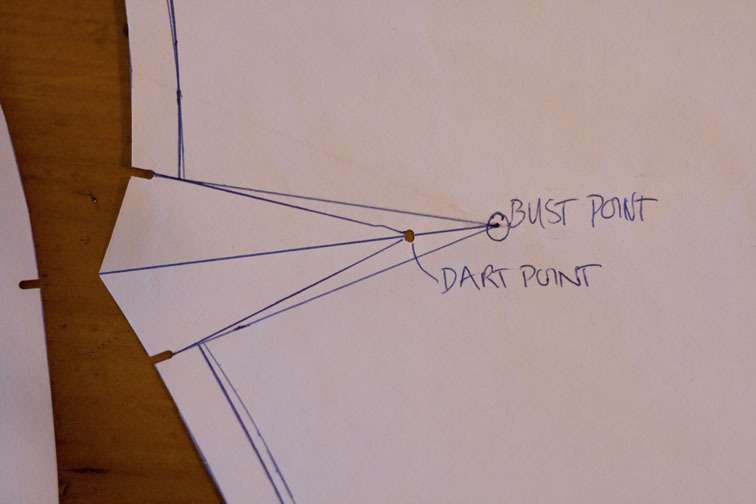 If you are using an existing pattern, you will need to extend all darts to the bust point first. Now you are ready to cut and sew! Do you like the side panel bust dart too? And have you ever heard it referred to as a Dior dart? I've never heard of a Dior dart before, but I love the look it gives. I also love your dress with the leopard print cuffs and collar. I've never heard of the Dior dart either but I certainly like them. 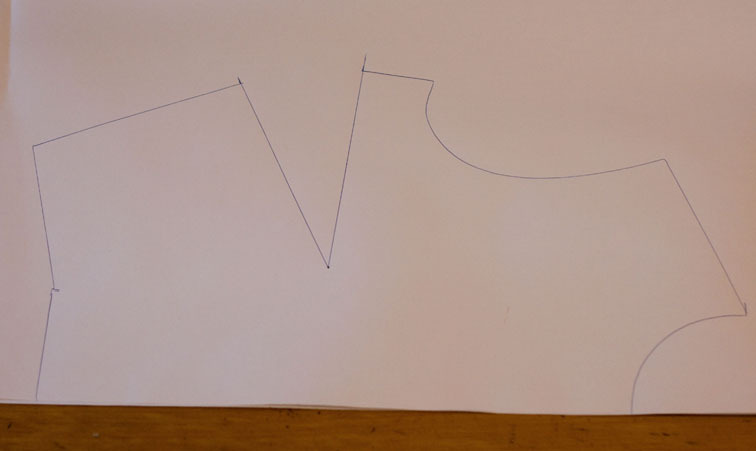 Thanks for showing the pattern making process. I really love pattern making and I find myself looking at stuff in shops and working out (or sometimes trying to) how to make up the pattern, Not that I have time or will, I like the process. I love your block and the lovely little gadget that punches notches. This is a new one for me too! The black Chanel jacket that I have being eyeing off has a side panel and it was so far to the side of the bust point that I wondered what to do for bust shaping…this could be my answer. 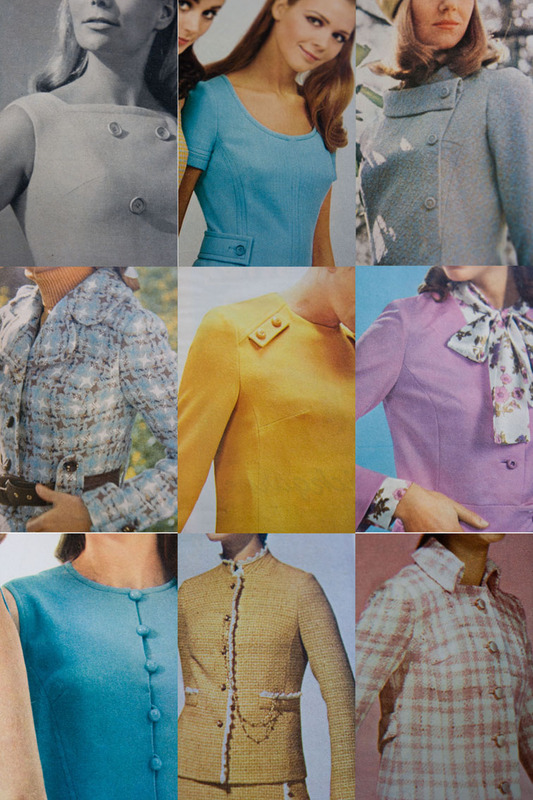 I hadn't heard it referred to as a dior dart before – but I love patterns that use them. I made a cropped grey wool jacket last year, that had these darts and loved the fit. When I saw the post title, I thought you were going to talk about those strange bust shapes from the recent dior show! very interesting! i wasn't familiar with this type of dart, but can definitely see myself using it. thanks for the great info! This is my favorite post of the week! I too am a pattern maker/technical designer but have never heard of a Dior dart. Thanks for sharing but most of all, thanks for showing me how to create it from my block! Wonderful! Thank you so much. That is very useful information. 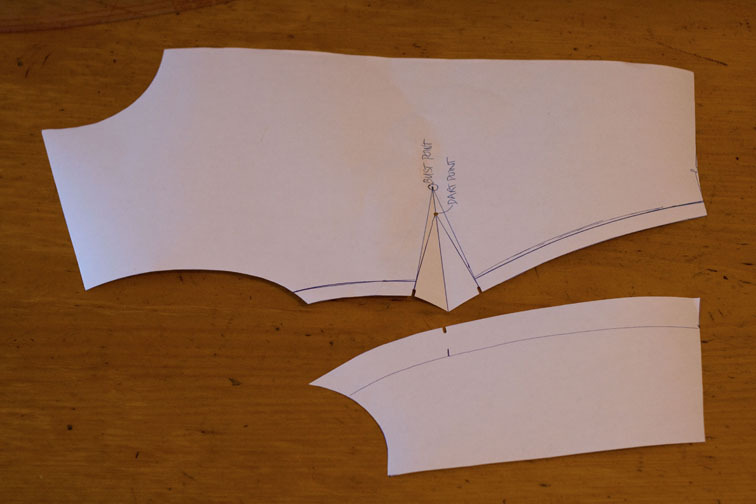 Woah I'm working on a short coat at the moment that has this exact dart! It also has a strange modified raglan sleeve that Rhonda Buss explained a while ago that I (almost immediately) forgot. XD Thanks for sharing. I'll mention this when I make that post. 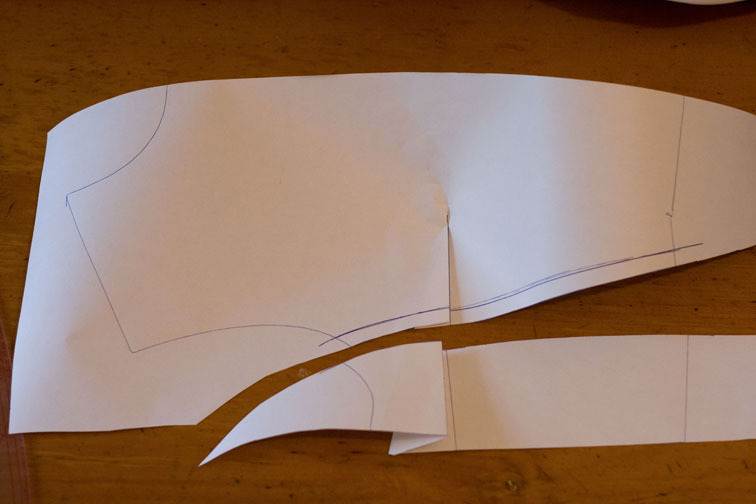 Can you clarify why you add double the seam allowance in the side panel? Do you add a seam allowance to the front panel? Thank you for the great lesson. Such a flattering style. I've had this type of dart on a few patterns. Unfortunately, by the time I've finished making adjustments for small bust, this dart ends up a tiny sliver – almost not worth putting in. But it certainly does make for a lovely shape on someone with a larger bust. I've made this dart on a Burda jacket and a coat over the years but I've never heard it referred to as a Dior dart before. I like them, too, because they give such a lovely fitted look. I have never heard this term Dior Dart. Always nice to learn something new :O). 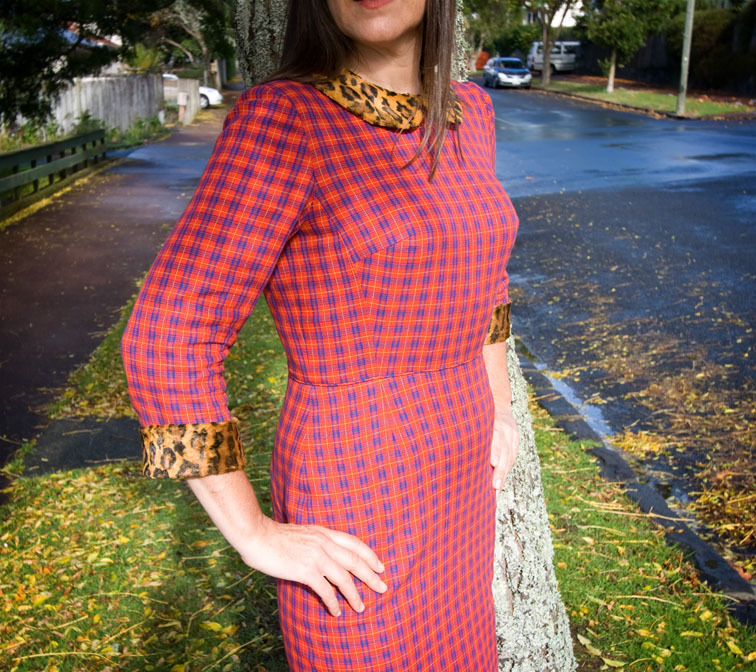 Love your checked dress! That is very interesting; I have never heard of that referred to as a Dior dart. I've used it a lot in making women's clothes, but that particular term had never come up before. Thanks! I am just making a Burda style jacket with one of these little darts in it. Not that my bust needs slimming in any way, lol! You give the best information. I always wondered what that small dart did to the block in comparison to a regular dart. Thanks for the explanation. I will have to try this. The Colette Hazel pattern has this type of dart I do believe. It is my first time using it, and I'd never heard it called a Dior dart. Thanks for sharing!! I do like the shape it gave. Yes, I added a seam allowance to the front panel before cutting the side panel away. 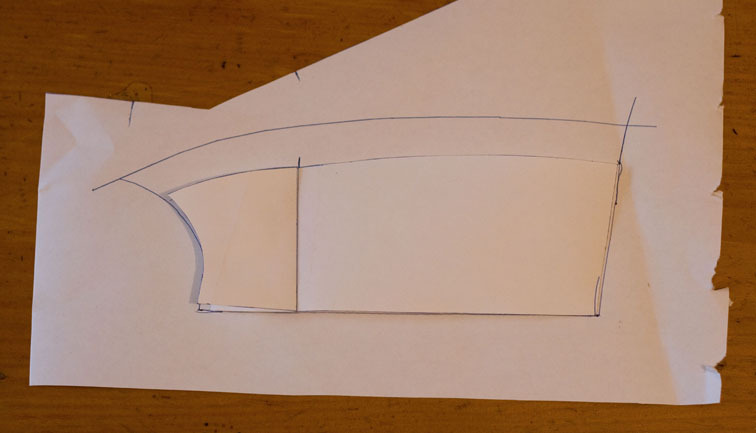 Because this removes from the side panel, it is added back at the same time as the side panel seam allowance is added. It's a bit quicker than slicing it up and adding them individually. I've answered this in a comment above, and yes it does fit without easing! Yes – I like the way Sarai has cut it horizontal to make use of the stripe! Wow I really love this! I had never heard of it before. Thanks for sharing and both of your dresses are so beautiful. Best post I've read anywhere in a while! I'll be tucking this away for later! I have to add a second comment, because serendipitously I came across a RTW dress made with a 'Dior Dart' this afternoon while at the mall. My daughter and I wandered into an Ann Taylor store (we are in the US), and an orange double-knit dress caught my eye because of the interesting use of decorative hemstitching. Upon closer inspection, there was a side panel with a short bust dart coming from the panel. I don't recall ever seeing this in RTW before today. Very useful as usual. I like the idea, but wonder about its effectiveness on a plaid. Thank you for the explanation! I have been looking at these darts and wondering how they are done and whether they might work for me or not. I usually do a substantial FBA, and I'm thinking that this might be a good alternative for dealing with that issue. This method of shaping is PERFECTION in my opinion. Especially if one is curvy and short waisted. Never heard the name Dior dart, but I love it! That's a great point! I quite like the symmetry effect of darts in plaid, but I think my side panel seam looks a bit messy. Oh my! I love this dart method as I am also a 60s fanatic. Funny as I have also noticed this dart coming back into modern patterns such as; McCall's 6394 and 6278. Both color blocked nods to the mod era. So that is they are called! I see it quite a bit in retro fashions. Thanks for sharing a name for these darts. Thanks for explaining that. I was wondering the same thing. Interesting. I've seen that dart, but haven't heard it's “official” name. I have never heard it called a Dior dart. I have made several BurdaStyle magazine jacket patterns which had this type of dart. 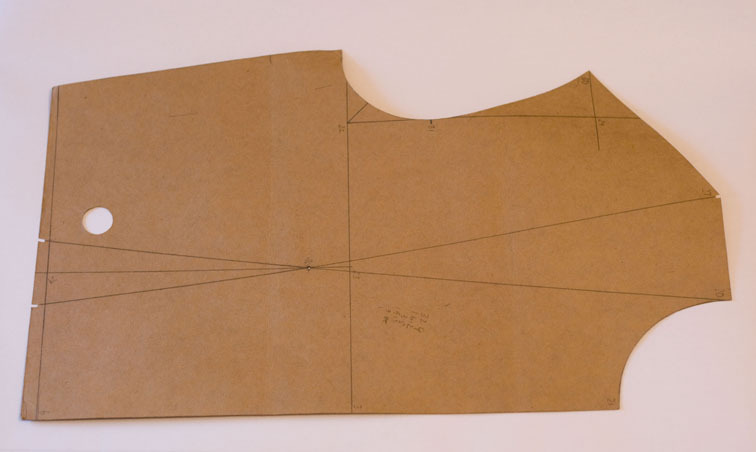 The Pattern Drafting and Grading book by M. Mohr (1968) describes it as “Part of a side dart on Front seam for smoother fit over the bust(a style feature)” and shows it in a coat, shift dress, blouse and jacket. Have never heard this type of dart referred to as the Dior dart but, Mr. Dior was certainly an innovator. Cannot wait to try this, Sherry, thanks! I'd never noticed this before or that your dress had a side panel but now that I'm looking it does create a very nice silhouette effect. Thank you so much for sharing these things. I love learning about use of darts. 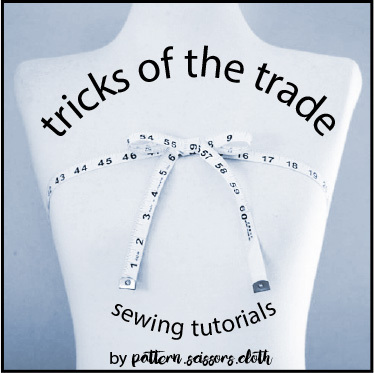 Your old post on darts completely changed the way I sew and cut darts–and they are so much prettier and more useful now! Thanks for that . I have been thinking about using that strategy on a jacket I want to make . Sherry I really would appreciate you talking about the wide legged pants you made with the buttons at the front AKA Sailor pants . Does the opening incorporate a pocket. I would love to make some pants which also have this opening and pockets incorporated into the opening . Any idea how this could be done ?? 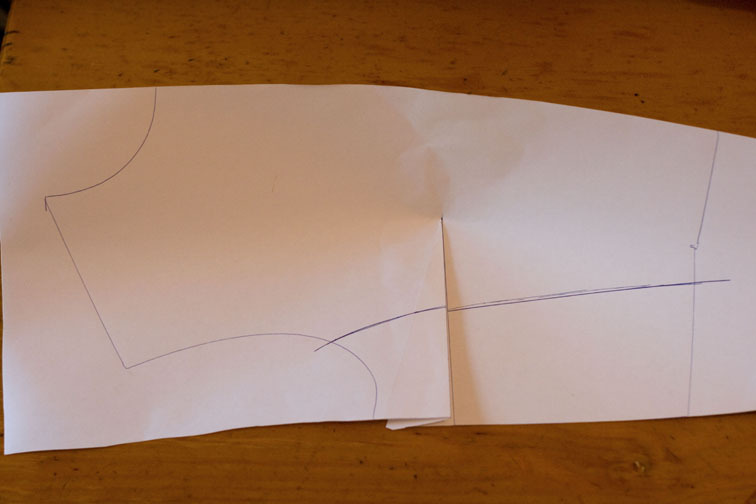 Hi mem – I cheated on my trousers and made fake pockets, but it is possible to make real ones! The whole upper front/pocket edge is faced in one piece and buttonholed, and the underlay forms the rest of the pocket bag. The underlay can extend right across the CF (a bit like a kangaroo pocket) and have a hidden CF zip opening, or you can cut it to a pocket bag shape and have a zip opening in side/CB. Have fun, and make sure you show us your results! I'm not sure it's the official name at all! Judging by the comments, few have heard it called that, so it is more likely a nickname given to that style of dart style by my ex-colleagues. I hope I haven't given the wrong impression! Ooh it sounds like you have dart love now! Hello Sherry , Thanks for that I hadnt thought of using the zip as the real opening . I had been worrying over using the Pockets and buttons as the opening . Silly me to complicate things when they dont need to be . Thanks alot for that . Yes I will be posting again soon . I have been really busy sewing but not posting . I had some internet issues and then got out of the habit but given that enjoy reading everyone elses posts so much I should really reciprocate . I WILL return !! I've done a dart like that once or twice but I didn't know that it was called a Dior dart. Your plaid dress is beautiful!! I was reader of this blog, a few years ago, and dropped off when you took a break. I didn’t know you were back at it, but I just followed you on Instagram. So I was wondering how to draft my own Dior Dart and I saw your post in the search results and remembered reading the original post!! Thanks for keeping this content up because it’s so valuable! Your back in my Feedly subscriptions! I’m so excited I’ve found you again!